In 1857, the Ohio government established the Ohio Reform School. The Ohio Reform School was a reformatory for boys between eight and eighteen years of age. It was located approximately five miles south of Lancaster, in Fairfield County, Ohio, and the institution accepted its first inmate in 1858. Before the creation of this institution, the State of Ohio imprisoned male juvenile offenders in the Ohio Penitentiary with adult criminals. The Ohio Reform School was not like a traditional prison. Walls and fencing did not surround the inmates. Rather, the Ohio Reform School utilized the "open system."? The boys could traverse the grounds freely. They lived in cottages?not prison cells?with forty boys to a cottage. The cottages were named after rivers in Ohio. Guards, cottage matrons, and other workers supervised the boys, but the intent was to create an institution that would educate and instill good and productive values in the boys. Because of the Ohio Reform School's success, by 1901, twenty-eight states adopted the "open system"? for their juvenile prisons. The boys spent one-half of the day in school and the other one-half either working on the Ohio Reform School's farm or learning a trade in one of the vocational education buildings. 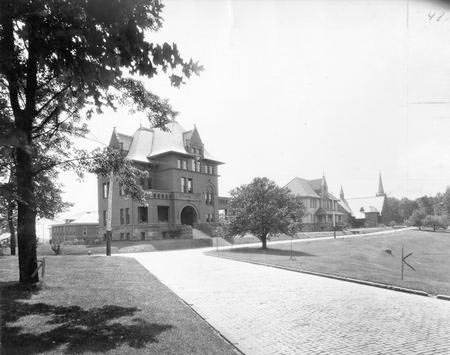 In 1901, the school offered training in blacksmithing, tailoring, baking, carpentry, stenography, brick-making, shoemaking, horticulture, and cattle-raising, among numerous other professions. This same year the institution also boasted a forty-two-member band, and the children received military training as well. In 1884, the Ohio Reform School became known as the Boy's Industrial School. Comedian Bob Hope spent some time at the Boy's Industrial School as a child. As an adult, Hope donated sizable sums of money to the institution. In 1964, the institution became known as the Fairfield School for Boys, and in 1980, the school became the Southeastern Correctional Facility for adult offenders. In 2004, juvenile inmates were held in eight juvenile detention centers across Ohio.